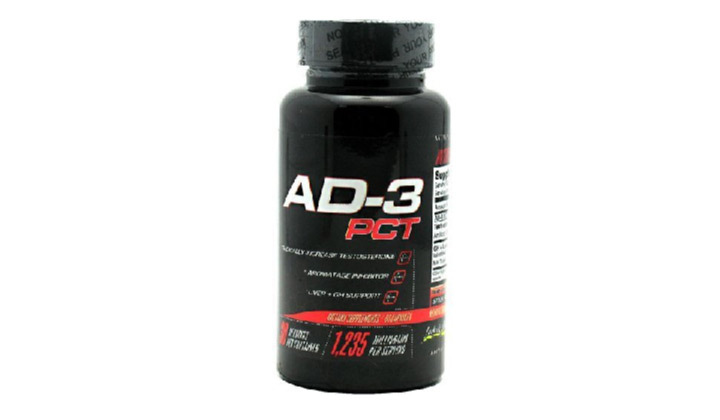 In my opinion, AD-3 PCT by Lecheek Nutrition is the best OTC PCT supplement you can actually find on the market. First, I will start with the ingredients. It contains Arimistane (Androsta-3,5-diene-7,17-dione) which has a very strong anti cortisol and anti estrogen effect. Some even compare it to a chemical compound not even legal ! On top of that, you have some Milk Thistle to protect your liver and also some L-Dopa to improve overall recovery. From there, we can say it’s already better (or at very least, equal) than the Erase from PES. Now we come to the price, around $18-25 for a bottle depending the place you will take it. For a price like that, you can’t find better. Really ! No way you can’t now have a good anti estrogen product in your hand with this product. First one is the best anti estrogen you can have legally : it can be used in solo for an OTC PCT or just to boost your testosterone level. With Arimistane, you can also expect a great anti cortisol effect which is nice for lean muscle gains and fat loss. Effects of L-Dopa are often confused but one thing is sure, this is will help you improve everything you do in bodybuilding. Not much to say about Milk Thistle because it’s like the STANDARD for protecting the liver functions during a prohormone cycle. Clearly, AD-3 PCT from Lecheek Nutrition is a beast supplement ! Where to buy AD-3 PCT – Lecheek Nutrition ? AD-3 PCT is no longer available on the market. We recommend you to read our article about the Anti-Estrogen Supplements. Want to share your review for AD-3 PCT – Lecheek Nutrition ?